So, you’ve decided to undertake an MBA—that’s a big decision—but you’ve now got an important question left to answer before you can start making study plans. Where on earth are you going to study? You need to find a school with values that align with your own and that provides you with the best environment and opportunities you’ll need to further your career. Be it in Asia, the USA, or Europe, you can literally study anywhere in the world for your MBA, so how do you narrow it down? It’s a particularly important decision when you learn that many grads end up working in the country they study in. Well, like deciding where to live, it’s worth looking at the area and what comes with your choice of location. 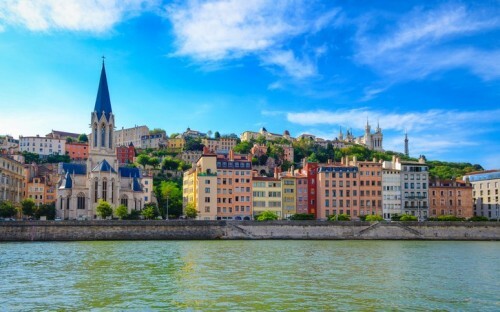 With this in mind, BusinessBecause has taken a deep dive into the city of Lyon in France, and its number one business school. EMLYON is widely-recognised as a European frontrunner in the field of entrepreneurship. The school established the first ever think-tank dedicated to entrepreneurship and runs the largest startup incubator in France—if you’re dreaming of starting your own business, there are few locations in the world better equipped to make it happen. France’s President Macron has stated that he wants the country to be a ‘startup nation’—to encourage entrepreneurship and think and move like a startup. With a base of strong engineers and the tech ecosystem flourishing, this is a promising time for the innovative and creative MBA students that EMLYON prides itself on. France has the sixth largest economy in the world and second in the Eurozone after Germany. In fact, deal-making has reportedly surged to its highest level in a decade under current President Macron indicating the growth that’s currently being experienced in the country. With 29 of the world’s 500 largest companies based in France, employment opportunities and the demand for MBAs are huge. At EMLYON Business School, 90% of MBA students get hired within three months of graduation. EMLYON Business School’s intensive, one-year MBA program is much more affordable than a two-year MBA program in the US. The condensed format means a students’ time away from work is minimized, while tuition and cost of living compares favourably to other locations too. A key element to an MBA is being able to build a global network and learn from a diverse cohort. Europe offers the perfect setting to experience diversity and hone a global network with free movement across Eurozone countries and leading education systems attracting top students from around the world. It is a continent founded on the principle of diversity. The EMLYON MBA embodies this with 24 different nationalities in the 2015 cohort, for example, and 69% of the MBA class coming from outside of Europe. An often underappreciated element of an MBA is the opportunity for self-discovery. As far as destinations go to find yourself in, Lyon offers a mix of beautiful sights—it’s close to the Alps and the Mediterranean—and adventure, with water sports, snow sports, and outdoor activities all on offer. Lyon is also one of the gastronomy capitals of the world with over 2000 restaurants, 15 of which have Michelin stars. Add to this bouchons—family-owned bistros—and outstanding wine, and you’ll wonder why you considered taking your MBA anywhere else. Finally, the culture and history available in Lyon is unparalleled. With Vieux-Lyon a UNESCO World Heritage Site, and the city founded in 43 BC, there are few MBA destinations that offer such a cultural wealth. The full-time MBA at EMLYON Business School doesn’t just provide students with the knowledge needed to succeed in business, it places them in a city rich with heritage and where life-changing experiences can happen.